1. National Road---The National Road was the country's first federally funded interstate highway, with construction beginning in Maryland in 1811. By 1818, the road had come through what is now Wheeling, West Virginia. The section of road near the Pennsylvania border is said to be haunted by phantom sounds of cannon fire, left over from several Civil War era skirmishes which took place along the route. 2. Fifth Street Hill---Huntington's Fifth Street Hill is home to the state's best urban legend: a phantom hitchhiker. Depending on who is telling the story, since 1942 drivers along this road have spotted a young woman in white. She is always seen on rainy, dreary nights after midnight and anyone daring to give her a lift will find that she has vanished before reaching the bottom of the hill. Legend states the woman was on her way to be married in Wayne County when she was killed in a car accident. 3. Route 50---On Route 50 near Salem, motorists have claimed that when the moon is full and bright, they have seen an apparition of a woman in red, walking alongside the road. If the motorist stops and offers assistance, they quickly discover that the woman has no face! 4. Route 901---Do you want to get face to face with a Civil War soldier? On Route 901 near Spring Mill, drivers have reported that while stopped at a crossroads on foggy nights, they are visited by just such a thing. They will see movement coming from the side of the road, and see a soldier emerge wearing a Confederate uniform and clutching his back in pain. He then flings himself across the hood of the car, but if you jump out to offer him help, he disappears. 5. WV Turnpike---The WV Turnpike is probably the most haunted road in the state, especially in an area between Beckley and Mossy. UFOs, phantom hitchhikers, and all sorts of other paranormal shenanigans have been observed by travelers, state workers, and even state troopers! Construction began on the route in 1952 and before its completion, at least five workers had been killed. Further, many family cemeteries were moved or otherwise disturbed during the construction, leading many to believe that those lost souls are the ones haunting the road today. 6. Childers Road---This residential street in Barboursville is known for the apparition of a pre-teen boy seen riding his bike. Allegedly, the child drowned in the area, but is still out being a kid. There are also reports that one of the homes on this road has quite a bit of activity in it! 7. 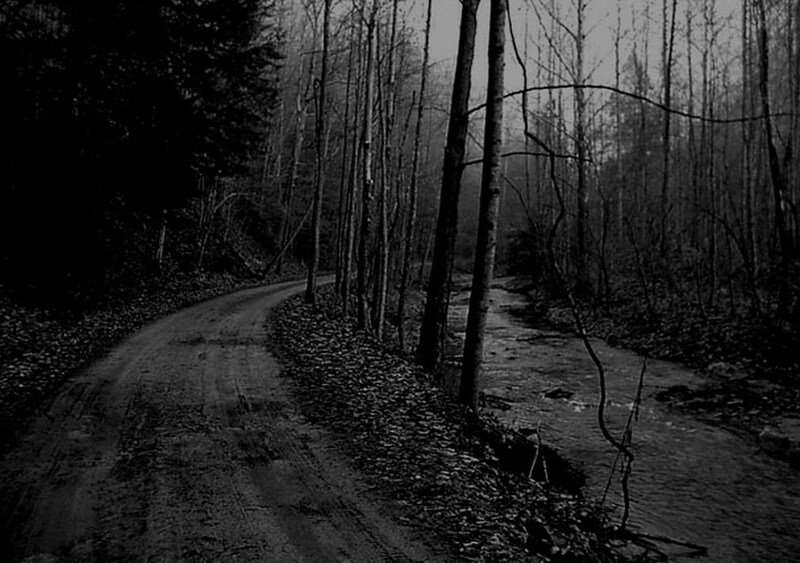 Grasslick Road---Grasslick Road in Ripley was the site of a horrific murder in 1897, in which John Morgan slaughtered members of the Pfost-Greene family. The house is gone, but the site off Grasslick Road is still said to contain the residual memory of one young girl of the family fleeing, screaming for help. 8. Hog Alley---This alley in Harpers Ferry is the nightly route of a terribly solid apparition of a black man with a large, bloody scar across his neck. The man is Dangerfield Newby, the first fatality in John Brown's 1859 raid. After his death, Newby's body was thrown into the alley to be consumed by pigs. 9. Reese's Run Road---In the not too distant past, a local girl was brutally murdered on this road in Harrison County. Those visiting near the site have heard her screams and sobs and reported the eerie feelings of being watched. 10. 22 Mine Road---Logan County's 22 Mine Road has been a source of entertainment for legend trippers for years! 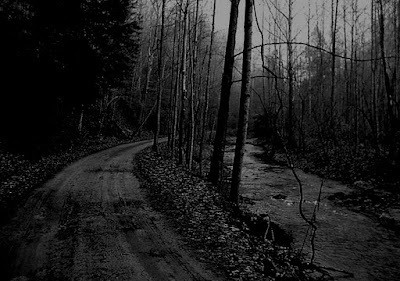 Many stop their cars, rucks, and even skateboards on a designated spot on this road to see if the ghost of Mamie Thurman, whose body was found along the road in the 1930s, will cause their vehicle to roll UPHILL. This gravity hill feature isn't the only thing spooky---for years, truckers have claimed to have picked up a hitchhiking woman matching Mamie's description! OMG!!! Seems too scary. I wouldn't go there. Last time make mistake by visiting a Dfw Haunted House don't gonna make the same mistake.